Shell is involved in every stage of the LNG value chain. We find gas fields, extract and liquefy gas, trade and ship LNG, and turn it back into gas before distributing it to customers. We are a leading independent producer and marketer of LNG. 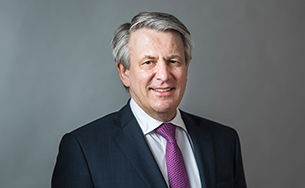 Shell launched its third LNG Outlook in February 2019. Drawing on a broad range of independent industry data and internal analysis, the Outlook highlights key trends in 2018 and focuses on future global demand and supply. Strong demand for cleaner-burning fuel in Asia continued to drive rapid growth in LNG use in 2018, with global demand rising by 27 million tonnes to 319 million tonnes, according to the Outlook. Shell expects demand to reach about 384 million tonnes in 2020. Global LNG supply is set to rise by 35 million tonnes in 2019. Europe and Asia are expected to absorb all this additional supply. A rebound in new long-term LNG contracting in 2018 could revive investment in liquefaction projects. Based on current demand projections, Shell still expects supplies to tighten in the mid-2020s. Ongoing efforts to improve urban air quality saw China’s imports of LNG surge by 16 million tonnes in 2018, up by 40% from 2017. On the supply side, Australian LNG exports caught up with those of long-time leading supplier Qatar towards the end of 2018. Both countries are well-positioned to supply rapidly developing economies across Asia with the gas that they need to improve air quality by displacing coal-fired power and heating. Australia and Russia together are expected to add about 17 million tonnes in 2019. Shell’s Outlook notes that LNG has played an important role in the global energy system over the last few decades, as an increasing number of countries have turned to natural gas to meet their growing energy needs. LNG trade increased from 100 million tonnes in 2000 to 319 million tonnes in 2018. New LNG projects typically require long-term sales agreements to secure financing. From 2014 through 2017, LNG buyers had increasingly been looking to sign shorter, smaller and more flexible contracts. Shell pointed out in its 2018 LNG Outlook that this mismatch between suppliers and buyer needs would have to be resolved to enable developers to go ahead with new projects. Encouragingly for the long-term health of the global LNG market, the average length of contracts signed more than doubled from around six years in 2017 to about 13 years in 2018. Meanwhile, the total contracted volume more than doubled to almost 600 million tonnes in 2018. In this context, Shell is working on growing its supply of LNG. In October 2018, Shell took a final investment decision (FID) on LNG Canada – located in Kitimat, British Columbia. See “In Focus: LNG Canada”. In December 2018, the wells at the Shell-operated Prelude FLNG facility were opened and gas and condensate are being produced and moved through the facility. Once this has been concluded, the facility will be prepared for reliable production of LNG and LPG. We are the largest LNG marketer among international oil and gas companies (IOCs), with competitive positions in countries such as Japan, South Korea and China, but also in emerging LNG importing countries such as Malta and Jordan. At the other end of the chain, we manage our supply portfolio for reliability and competitive cost of supply. Through our joint ventures, we have the largest LNG liquefaction capacity among IOCs with plants in all major supply basins. In 2018, we announced that we would fully acquire the Hazira LNG terminal in India, allowing us to build an integrated gas value chain for India – including supply from our global LNG portfolio, regasification at the Hazira facility, and downstream customer sales. We supplement our LNG portfolio with both long- and short-term third-party offtake contracts for additional flexibility and cost optimisation. In the middle of this value chain, we continuously optimise how we deliver LNG to our customers, depending on market conditions. 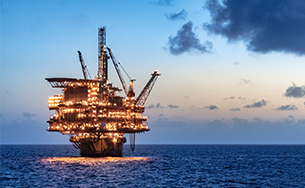 We take advantage of the flexibility of our portfolio – our trading and optimisation capabilities – and our established position in shipping and regasification. Integration is not only a competitive advantage, it also makes us more resilient because we can capture value as it shifts to different parts of the LNG value chain. The world needs cleaner fuels to meet the increasing demand for transport with lower emissions. LNG is emerging as a cost-competitive and cleaner-burning fuel for shipping, heavy-duty road transport and industrial applications. The International Energy Agency (IEA) estimates that use of LNG for transport could grow by as much as 14% between 2016 and 2022. Shell has access to import and storage capacity at the GATE LNG terminal in the Netherlands, allowing us to supply LNG to marine and road transport customers in northwest Europe. 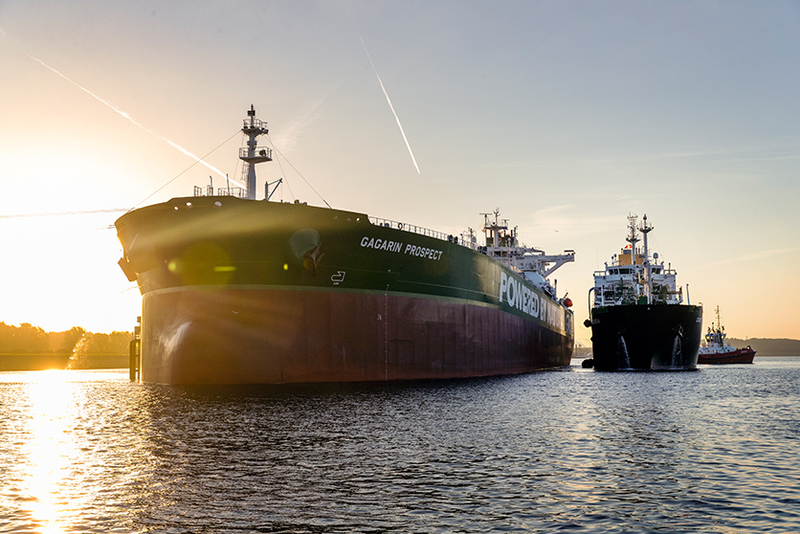 Our state-of-the-art LNG bunker vessel, the Cardissa, delivers LNG fuel from the GATE terminal in Rotterdam to customers across Europe. In July 2018, the SCF Aframax, the world’s first LNG-powered crude oil tanker that Shell is chartering, was delivered to Shell. It was fuelled for the first time by the Cardissa in September 2018. It will operate in the Baltic Sea and Northern Europe. In the USA, we signed a long-term charter deal with Q-LNG Transport for a 4,000 square metres LNG bunker-supply barge to operate along the southeast US seaboard. Starting in 2020, the barge will supply LNG to marine customers along the southern East Coast and support growing cruise-line demand for LNG marine fuel. In December 2018, Shell supplied the LNG and bunkering infrastructure that fuelled the world’s first LNG-powered passenger cruise ship, the AIDANova. Shell will also supply Carnival Cruise Line with LNG, powering the first LNG-powered cruise ships in North America which are expected to launch in 2020 and 2022. In May 2018, FueLNG, a joint venture between Keppel Offshore & Marine and Shell Eastern Petroleum, placed an order with Keppel Singmarine to build the first LNG bunkering vessel in South East Asia. 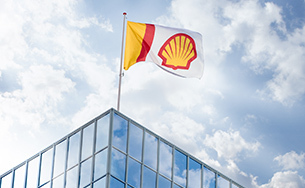 As part of the broader approach to offer customers more lower-carbon energy, Shell is part of the consortium BioLNG EuroNet, which announced in December 2018 the commitment to build 39 LNG fuelling stations for trucks across Belgium, France, Germany, the Netherlands, Poland and Spain. The first LNG station in Belgium and one in Hamburg were opened in 2018.